For people whose business is complaints. Workpro case management system helps Ombudsman and Commissioners manage increasing caseloads and squeezed budgets, while delivering improved service. Working with Ombudsman, Commissioner and Regulatory bodies for more than a decade, the Workpro team really understand how to provide effective case management software that appropriately supports such organisations. We help our clients manage ever increasing caseloads, reduce costs, improve productivity and deliver better service. Workpro case management system also monitors timescales and goals and demonstrating performance against Key Performance Indicators (KPIs). Our Workpro Ombudsman solution is used to manage cases of all types from enquiries and complaints, to Freedom of Information (FOI) requests and internal/service complaints. It provides the core business system for the entire Ombudsman/Commissioner organisation - in addition to case workers, Workpro delivers support to contact centre staff, PR departments and Outreach and Policy staff. We have a track record of successfully deploying IT solutions to Ombudsmen and Commissioners internationally in a variety of industry sectors. We have significant experience of the business processes and IT solutions needed to support such organisations. Whilst no two Ombudsmen’s business processes are identical, our experience is that there are more similarities than differences, allowing us to efficiently implement solutions in a very cost-effective and low risk manner. Workpro Ombudsman is highly configurable and our experienced consultants can work with clients to tailor their solution to suit their specific needs. 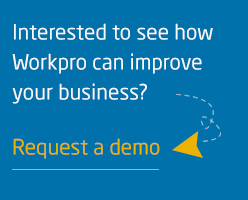 We would be delighted to demonstrate how Workpro can help your organisation. Please contact us for a demonstration or to discuss your requirement further. Workpro was selected following an open, competitive bidding process. 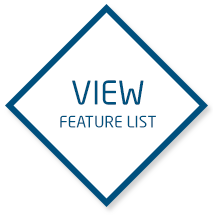 In addition to meeting our technical requirements, we were impressed by the user feedback provided by current clients of CAS. Workpro emerged as the solution that we believe will best serve our needs. We have enjoyed a great working relationship with CAS and very much appreciate the support and expertise of the CAS team.